Andre Lorent Anti-Aging Cream Review: Does it Really Deliver Results? 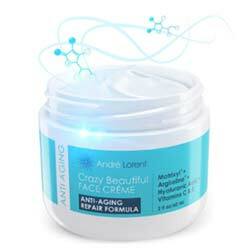 André Lorent Crazy Beautiful Anti-Aging Cream is a cream that decreases signs of aging such as fine lines and wrinkles. It is sold in containers of 2 fluid ounces at an average cost of $79.95, though promotions are frequently available that help reduce costs. The manufacturer provides a 100% money-back guarantee on the product as long as customers contact customer service first. Argireline: decreases the signs of wrinkles, fine lines, and aging by making the muscles relax. It is a much safer alternative to Botox injections. Matrixyl: a peptide that increases the skin’s ability to produce collagen, resulting in rejuvenated skin that is more elastic and firm. Vitamin C: shields the skin from radicals that cause damage. Vitamin C is also an anti-inflammatory and anti-irritant. 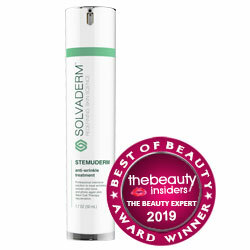 It boosts elastic and collagen production, resulting in healthier looking skin. It also has the potential to increase protection from sunscreen and decrease harm caused by UV rays. Vitamin E: used to treat skin disorders, sunburns, and fight the signs of aging. Some apply this vitamin to their skin to keep negative side effects of cancer treatments from negatively affecting their skin. Can be used twice daily. Apply to the neck and face until fully absorbed. It is safe to use under sunscreen or make-up. The ingredients are listed and have been positively linked to good skin care outcomes. The manufacturer offers a 100% money-back guarantee on the product and does not mention a time limit for this. Reviews for this product are mostly positive. Promotions are available that sometimes allow customers to get this product for below market rates. The product is safe for use for all skin types. The product is free of parabens and is created in a GMP certified lab. At an average of $79.95, the product is expensive compared to others in its market. Although the ingredients are listed, their exact amounts are not. The manufacturer states that studies have been conducted on its formula but does not publish its findings. There are concerns about how argireline—one of the product’s ingredients—reacts after long-term use. Andre Lorent Anti-Aging Cream is a promising anti-aging cream that contains many ingredients that have been known to improve the skin’s condition. Though the cost is high at $79.95 for a 2 fluid ounce container, the manufacturer offers promotions that allow customers to purchase the product at a rate that is below market rate. The product is also cruelty free and has mostly positive reviews. Still, although the manufacturer states that the product has been tested extensively, it doesn’t publish the findings of these studies. This makes it difficult for potential customers to check out the product’s claims. Customers might feel more comfortable with a product that has been tested independently.